Dominique Schurman is CEO of the Fairfield, ca-based Schurman retail group, which owns nearly 400 stationery stores in the U.S. and Canada-including the Papyrus, Carlton Cards and American Greetings brands. 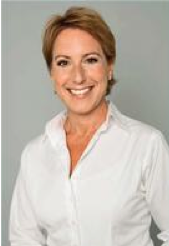 In June, she also was appointed as CEO of Clintons -a major chain of card shops in the United Kingdom that was acquired by American Greetings earlier that month after being placed into administration in May. Gifts and Decorative Accessories sat down with Dominique Schurman at the Papyrus Soho store location in New York City to talk about her strategy for reviving and rebranding the Clintons chain, as well as her upcoming plans for Schurman Retail Group. In the process, she shares some lessons that can benefit any retailer. 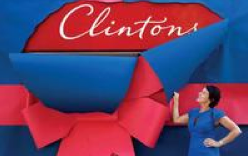 GIFTS AND DECORATIVE ACCESSORIES: Why did you want to take on the challenge of running Clintons? Our unique relationship with American Greetings started three years ago- when we acquired Carlton Retail and sold our wholesale division to AG. When the Clintons situation came to the table, we were able to explore various solutions with them. I do think we’re uniquely prepared and capable to take this on. I have a fantastic team at Schurman Retail Group, and that gives me confidence that we can stretch. It’s a big job, but it falls within my area of expertise. If they had asked me to open a bakery, I couldn’t have done it! GDA: What do you think accounted for Clinton Cards’ struggles? DS: It’s a cautionary story of a family business that got overextended and outgrew its infrastructure and management style. Clintons also had an aggressive competitor and didn’t have a team that could deal with these challenges; things started to unravel. It was a pattern that was hard to reverse. It had been a successful business for decades, but there’s never a guarantee. You have to try to do what’s best for the business. GDA: Clinton Cards (and its Birthdays stores) had nearly 800 locations; 397 Clintons were purchased by AG in June, but the remainder have since closed. How many Clintons locations do you expect to be open by year’s end? DS: We’re hopeful to negotiate deals with landlords to keep all 397 Clintons locations open, and we’re making good progress on those negotiations. We’re trying to build a company that’s sustainable for the future and to save as many jobs as we can. GDA: What’s the new branding strategy for Clintons? DS: We opened our first refurbished store in London at the end of July-coincidentally timed with the opening of the Olympics there. This store offers a preview of Clintons’ new product lines and the new look and design of the stores. Our goal is to renovate 100 stores by the end of October and to have new merchandise in them. That’s where our expertise comes to the table; we can leverage our experience from a merchandising and branding perspective and move more quickly than most people can do it. GDA: What new product ranges will you be adding at Clintons? DS: We’re introducing stationery and gift ranges that we think are a good fit. I have a lot of U.K. experience from all of the importing that Schurman has done, and I have an instinct for what types of products will do well there. 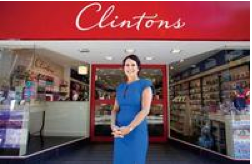 Our mission is to create an environment at Clintons that offers a broad range of solutions but has accessible price points to a broad range of consumers. We’ll also be expanding the presence of Papyrus-Recycled Greetings products there over the next few months. GDA: What other plans do you have to turn Clintons’ business around? DS: For me, it’s about making the brand relevant to the market today. It is a very dominant brand, and it’s extremely well positioned from a real-estate perspective. We have an opportunity to lead in the category both in stationery and in great quality, great value gifts. GDA: What synergies do you see between the Clintons stores and your Papyrus stores? DS: There’s infrastructure experience from a merchandising, branding and operational perspective that we can bring to the Clintons business to enhance it. We’ve also been able to implement systems to free up store teams to focus on the customer. A big part of the agenda is to provide a complete experience that’s customer-centric. Since focusing on Clintons is not her sole responsibility, GDA also asked Schurman how she plans to manage her time tending to companies on both sides of the Atlantic and what is in store for Papyrus. GDA: How will you divide your time now that you’re CEO of two companies? DS: Right now I’m splitting my time between the two. I envision that as we have more experience with the U.K. team and understand what the new world will look like for them, that I’ll be able to pull back. It’s only a 10-hour commute to the U.K. from San Francisco! GDA: What’s on the agenda for Schurman Retail Group? DS: The challenge is to make sure that we don’t skip a beat in North America. We’ll be opening a new Papyrus store at the Time Warner Center in New York City this fall. We also have a new brand of jewelry and women’s accessories called NIQUEA.D -being sold exclusively at Papyrus stores-and I want to make sure that I save my time and energy for that. I’m glad I’m only “29”!